Even though these two variations on a theme are kind of like incomplete thoughts, I thought they warranted a blog post because they are both so good. I happily munched on both for an afternoon snack – and they would have both been great bulked up by, say, a sliced apple. Or maybe with some sort of baked good in a dessert? For either dessert snack, scale up as appropriate. I had 1/4 cup left to play with, so ended up making two amuse sizes. However you slice it, delicious stuff. 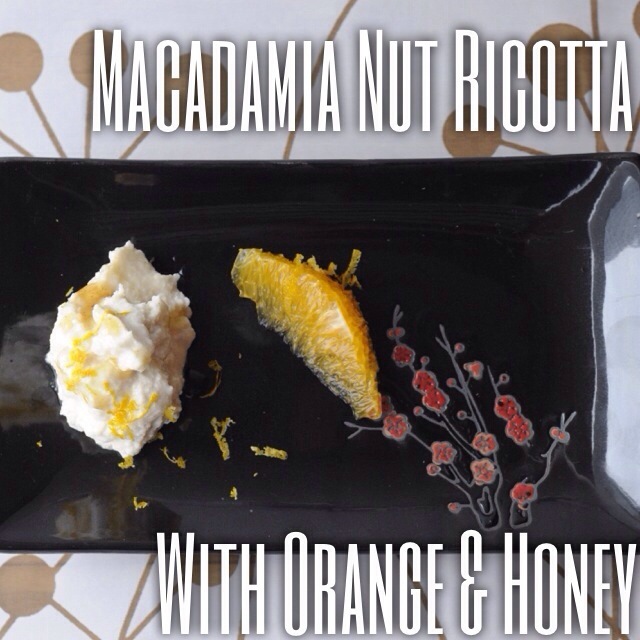 Blend the macadamia nuts, salt, 1 Tbsp. lemon juice & half a cup of water until smooth, adding more water if necessary to hit the right consistency. Taste for acidity and salt, adding more lemon juice or salt as needed. This recipe seems to be everywhere on the Internet. I was finally spurred on to action by Nom Nom Paleo’s Food For Humans book – but have seen it 999 other places. 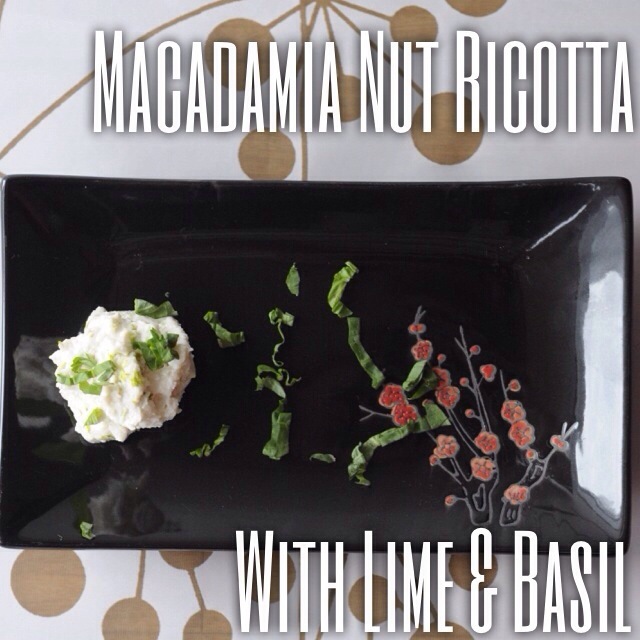 Combine the ricotta, lime juice and lime zest. Top with basil and more zest. Serve … on a spoon? I ate this one plain happily. Combine the ricotta, juice, zest and honey. Top with more zest and a drizzle of honey. Serve with orange segments.